Geostroy AD, one of the leading construction companies in Bulgaria, is celebrating its 14th anniversary in February with great satisfaction of having completed more than 100 high-quality projects and planning to participate in new strategic and business ventures in Bulgaria and abroad. Being a loyal partner with broad design/build experience in transport and environmental infrastructure, brownfield and greenfield projects in industrial and civil construction, Geostroy is fully capable of meeting the high requirements and individual needs of investors and clients – from prefeasibility studies and design through a wide range of construction services. The history of Geostroy AD, part of GEOTECHMIN GROUP, began in 2005 by redesigning and renovating a small hotel complex. It was followed by another more complicated project – the construction of a unique Primary Crushing Unit KET-3 in the inner contour of Ellatzite mine where construction works were carried out under conditions of uninterrupted ore mining operations. The successful implementation of this project became the starting point of one of the company’s key skills: its capability to organize and execute new construction under adverse weather conditions and ongoing production. 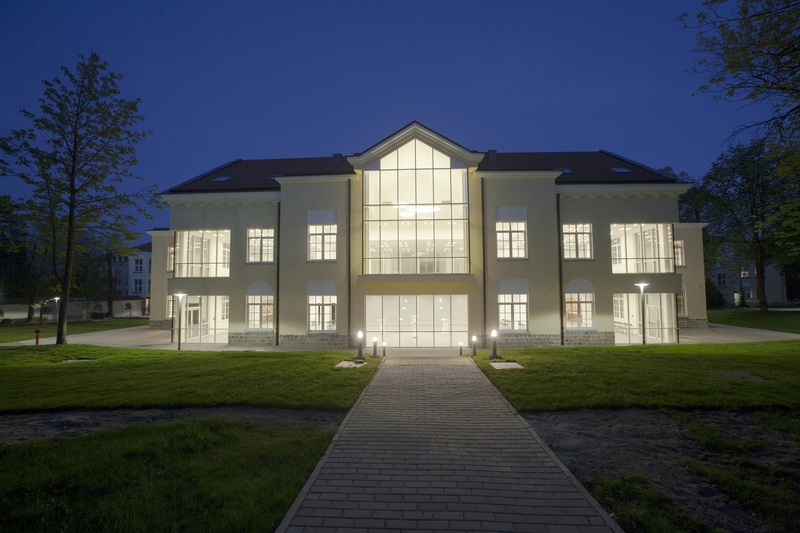 In 2018, Geostroy completed a new major project by which it proved again this competitive advantage: the reconstruction and enlargement of the American College of Sofia. The project was executed with high quality and without interrupting the college educational processes. As evidence of its undisputed success, the company won a prestigious award at the National Contest Building of the Year 2018. Today Geostroy’s portfolio comprises a large number of production installations, underground minе structures, two metro stations, hydrotechnical facilities, municipal waste treatment plants, wastewater and potable water treatment plants, roads, bridges and many other projects with European and private funding. Geostroy, as a partner in a consortium, completed Lot 3.3 of Struma Motorway between Kresna and Sandanski ahead of schedule at the end of 2018, and now it is about to complete Zemlyane Metro Depot which will service the trains of Metro Line 3 in Sofia. Geostroy has executed projects in full compliance with BREEAM International – the world’s leading sustainability assessment method for buildings. San Stefano Plaza Multifunctional Complex is a successful example of green construction in intensive urban environment. Yet another multifunctional complex is on the point of completion very soon. Furthermore, Geostroy undertakes and supports various gratuitous initiatives and projects of public significance including construction and restoration of Orthodox churches. Some of these churches were built with company donations, such as The Nativity of Jesus Christ Church in Mladost Residential District in Sofia, the general overhaul of St. Cyril and St. Methodius Church in the village of Biser, and many others. On its 14th anniversary, Geostroy takes genuine pride in its business ethics, in its mission as a socially-responsible and committed employer and in the accomplishments of its more than 750 employees. These advantages, combined with its valuable construction experience and successful partnerships with Bulgarian and foreign companies, give optimism for new horizons.